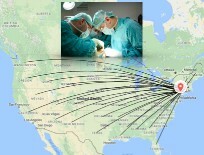 MedEdits Medical Admissions is the nation’s most established and reputable medical school admissions consulting company. We have helped thousands of applicants become physicians. An amazing 94% of clients who work with us comprehensively, on every step of the admissions process, have been accepted to medical schools in the United States. All MedEdits faculty are former medical school admissions officers and medical educators. As a MedEdits’ client, you will receive individualized guidance while benefitting from our team’s pool of knowledge and expertise. Start working with us by getting your personalized game plan. We offer advising, editing, and mock interview services. Not sure if working with MedEdits is the right choice for you? Sign up for a FREE 15 minute consultation. Clients start working with MedEdits by having a personalized medical school admissions consultant one hour comprehensive Game Plan Session with one of our faculty members; we obtain a full applicant history and then provide guidance on admissions topics of your choice and as needed. During this session, we come up with an overall Personalized Game Plan for your future success. 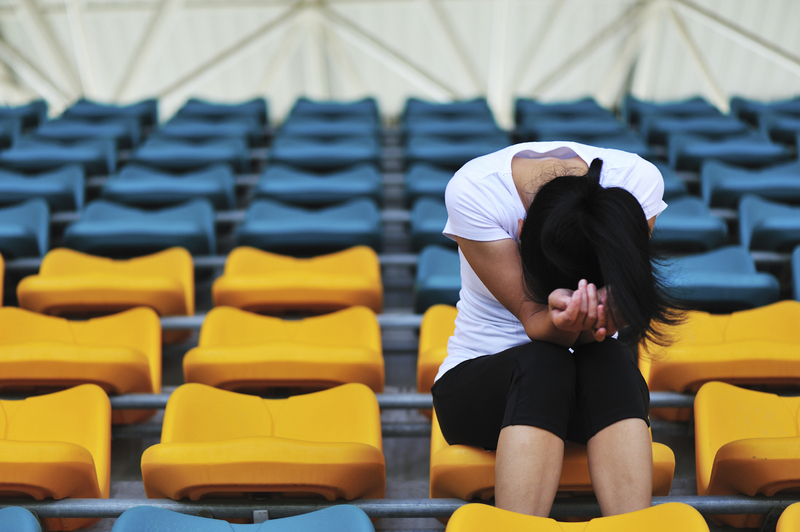 We understand how difficult it is to be rejected from medical school. 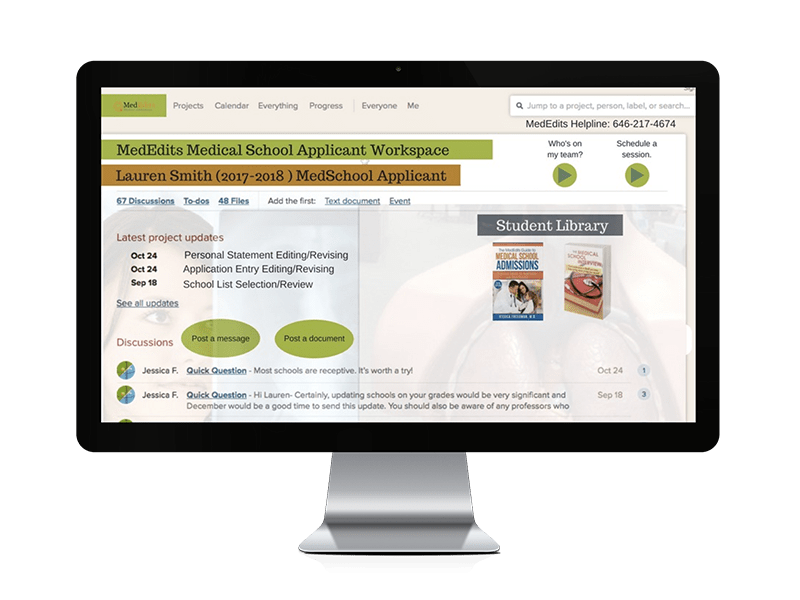 Every year, we work with medical school reapplicants by evaluating their previous medical school application(s) and identifying what went wrong and what can be done to improve their chances of acceptance when they reapply. The vast majority (94%), of medical school applicants who work with MedEdits comprehensively–that is, on every piece of the admissions process–are accepted to medical school in the United States. 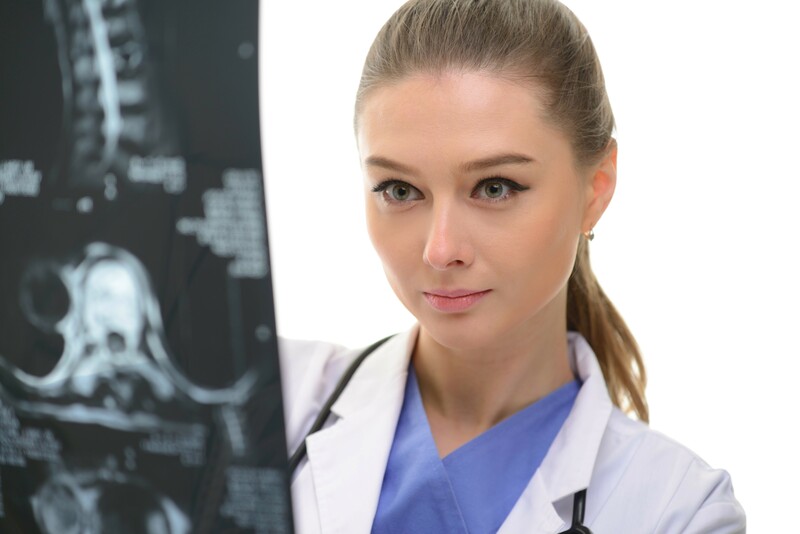 A full 100% are accepted to osteopathic medical schools.We work with a huge range of applicants including those aiming to gain admission to top-tier medical schools, osteopathic medical schools, and off-shore medical schools. For AMCAS packages, click here. For AACOMAS packages, click here. For TMDSAS packages, click here. It is very important, regardless of your academic success, that you have a superb interview experience when applying for medical school. Whether you need practice answering basic interview questions such as, “Can you tell me about yourself?” or help preparing for an MMI interview, the MedEdits faculty will help you feel confident on interview day. 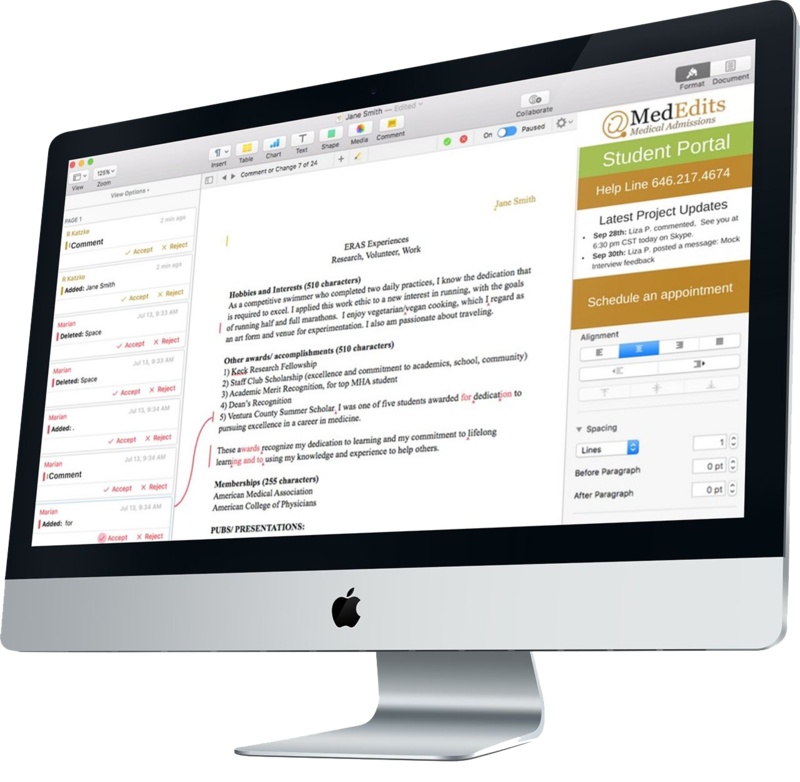 MedEdits is the best medical school essay editing service. MedEdits offers medical school application consulting services that offer a deep understanding of your “target audience” and can help you write medical admissions documents that are captivating and persuasive. Our substantive editing process distinguishes our services; we offer in-depth content suggestions as part of our editing process. Our medical school application consultant services will help you gain a competitive edge. MedEdits offers comprehensive guidance for applicants to BS/MD accelerated medical programs. We ensure that your commitment to medicine is conveyed clearly through your written documents and that you also express when interviewing that you have the maturity and focus to succeed in these programs. MedEdits consultants are all experienced academic medical educators who pride themselves in providing support to, and working with, students. All of our consultants have served on medical admissions committees and have made pivotal decisions about applicants’ fates. Dr. Jessica Freedman, our company’s founder, has hand selected each consultant to ensure that he or she upholds MedEdits ideals by offering the most up to date guidance, based on knowledge and experience, with professionalism and warmth. Contact us to learn more about our medical school consulting services. 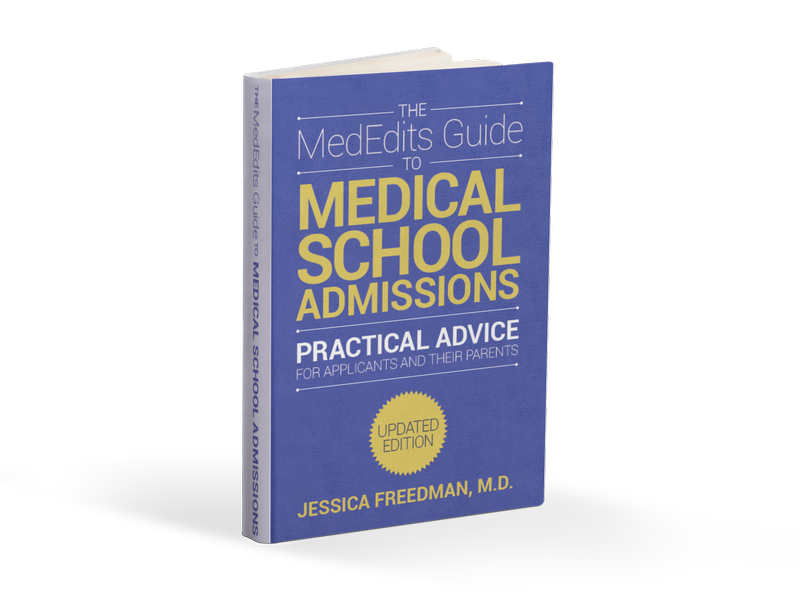 Learn more about MedEdits, med school admissions, and what distinguishes us.